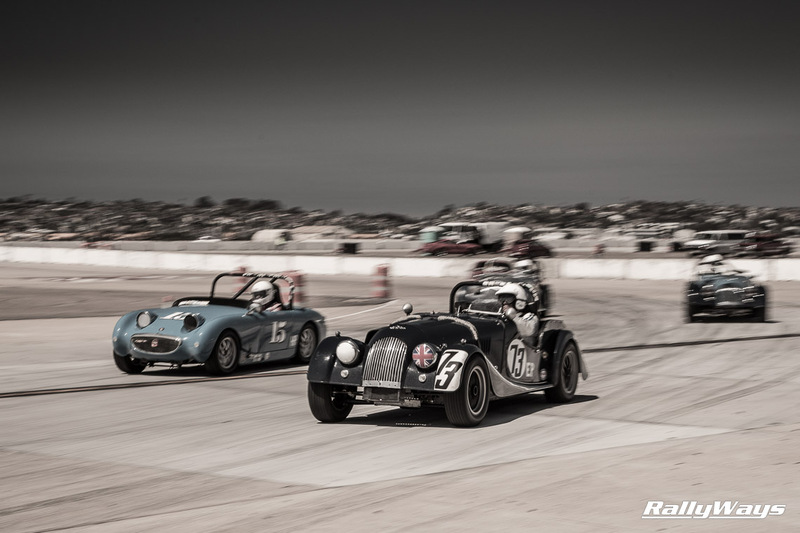 It would be safe to say Coronado Speed Festival is the premiere vintage racing event. If there is a better event, we would have to attend to find out. 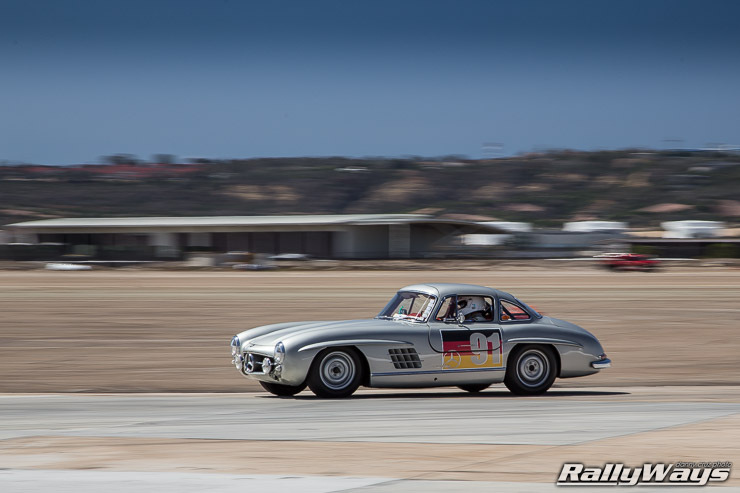 That said, Coronado Speed Festival 2014 had everything one could desire from a racing event and much more. 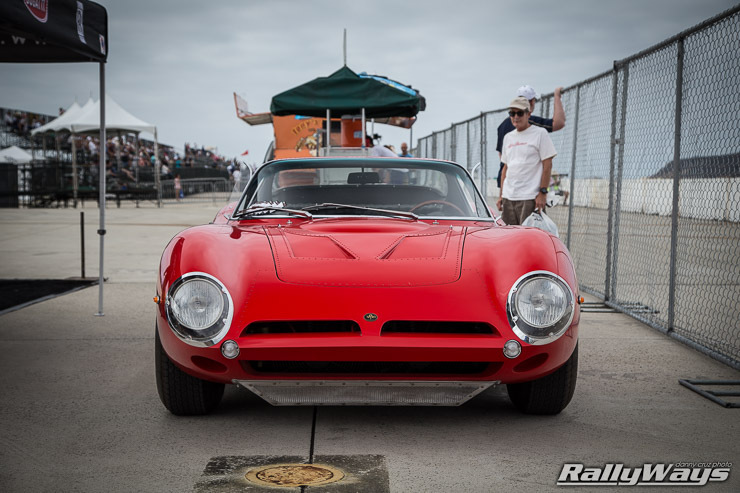 The above is a photo gallery from Coronado Speed Fest. You can click on the left or right arrows that appear on hover. You can also use your keyboard’s arrow buttons to navigate. 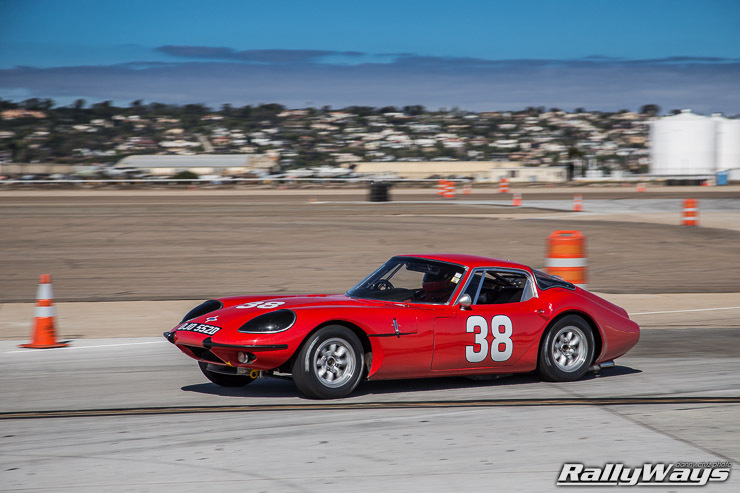 RallyWays attended Coronado Speed Festival 2013 just one day. It was great. This year however, we attended on Saturday and Sunday and we still wanted more! This is the reason we are doing something very different – In fact, we HAVE BEEN doing something very different with the content already. As we continue to publish more stories, we’ll post them up on the list above. This is a 1962 Daimler SP250. 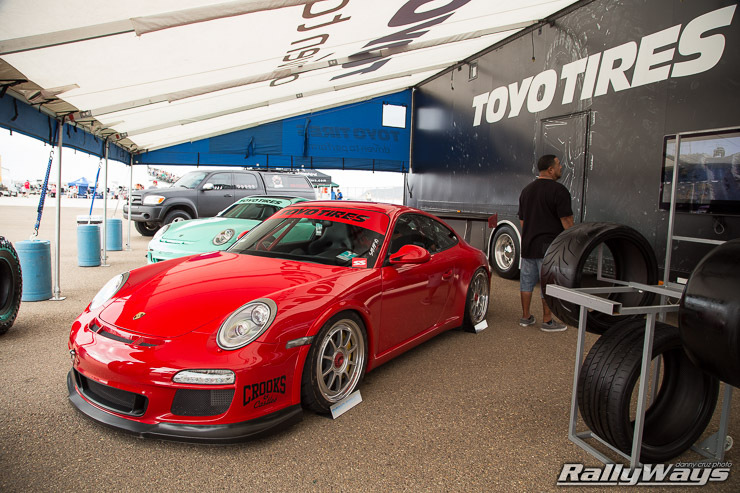 As race cars, we all know the Porsches, the Ferraris and the like. 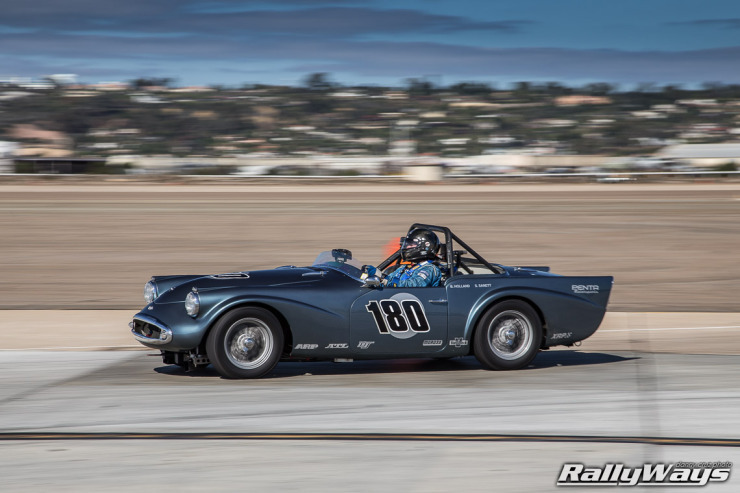 Few race cars are as rare as this 1962 Daimler SP250 Roadster. Stock, the Daimler SP250 looks like a good ol’ British roadster. However, the SP250 has a V8 under the hood. This is the way it has been since new. 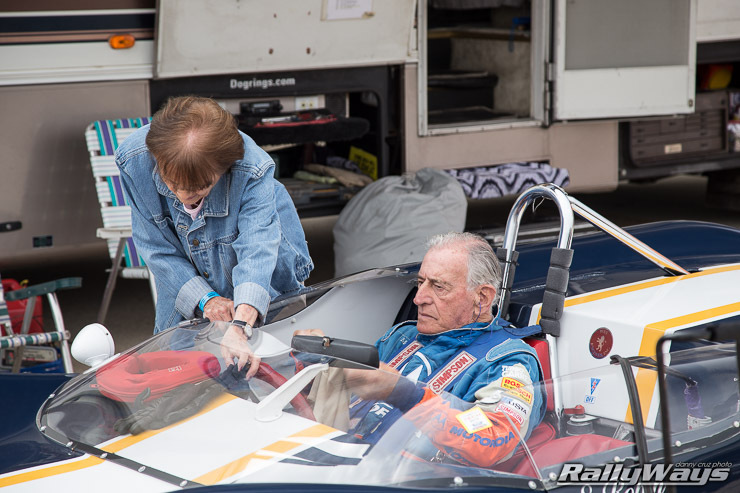 For this reason, they have always gravitated towards racing. The Daimler SP250 has been successful in drag racing and has even been used by the British Metropolitan Police. 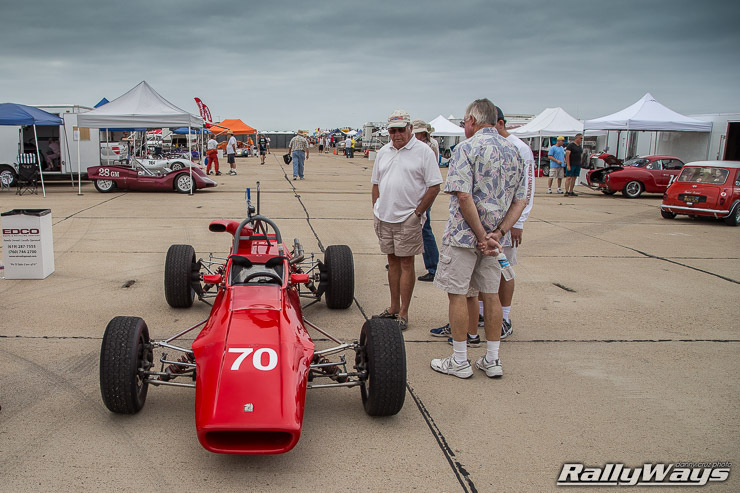 Coronado Speed Festival, Speed Fest for short, revolves around vintage car racing on an airfield track. 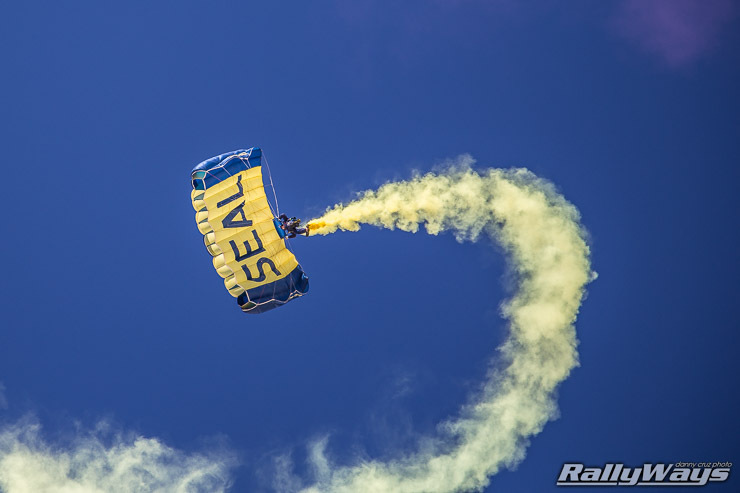 The event is hosted by the military during Fleetweek San Diego. The track at the base is built for this event and cleared afterwards. For this reason, it is composed of sections of K-wall, barriers, cones and big orange drums. It does not have very many run-offs like traditional fixed race tracks. It does not have rumble strips, or apexes you can actually drive over. If you clip the apex you’re kissing the wall. 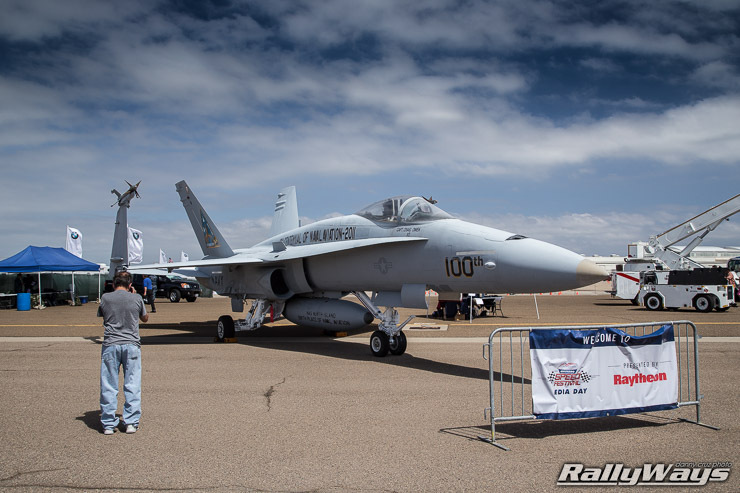 This makes the Coronado Speed Fest track a bit of a challenge. Having said all these things about it, the experienced drivers racing during Speed Fest weekend manage themselves quite nicely. A couple of cars hit the wall here and there, but really the damage throughout the weekend was minimal. Minimal damage is key in this type of racing. This is not NASCAR (although the event did hold a historic NASCAR race). Somehow there has to be a perfect orchestration of intense wheel to wheel racing while preserving these unique cars whose parts are not easy to acquire. In fact, zero-contact is key. 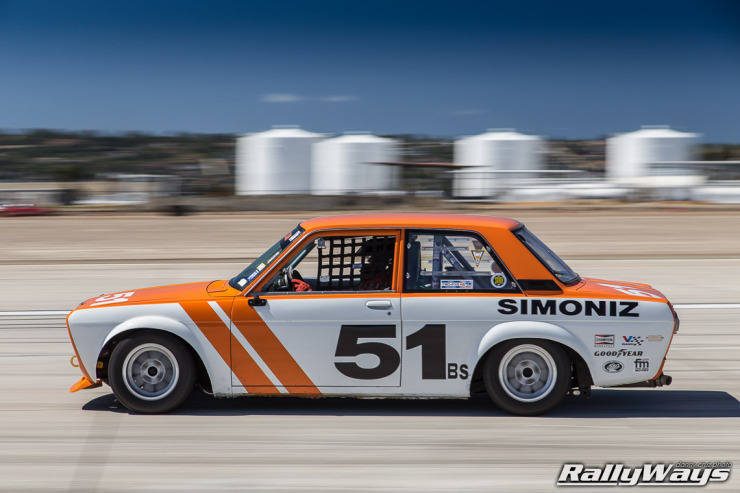 One of the coolest things in vintage racing is being able to see cars like this awesome 1969 Datsun 510 race car in action. The Datsun 510 is one of the coolest Japanese cars to come out of the 60’s. This one wearing the number 51 and the classic Datsun livery in orange is the epitome of Japanese classic car coolness. 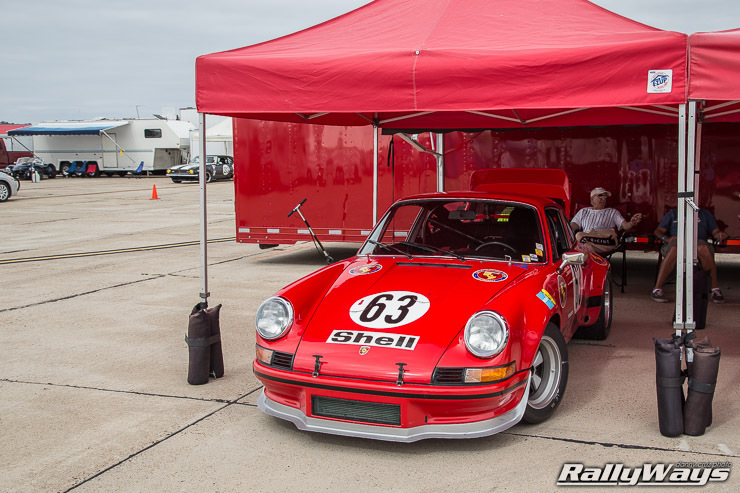 Regardless, the racing is intense and at times you forget these drivers are racing rare historic cars. They go all out. Some of the cars in this event are worth in excess of six figures. That’s a lot of money, but more importantly, some of these cars are irreplaceable. San Diego car clubs attend in full force. The club corral area was chock-full of everything from classic cars to muscle cars to hot rods to modern tuners. You could literally spend the entire day walking the club corral and speaking to the owners. 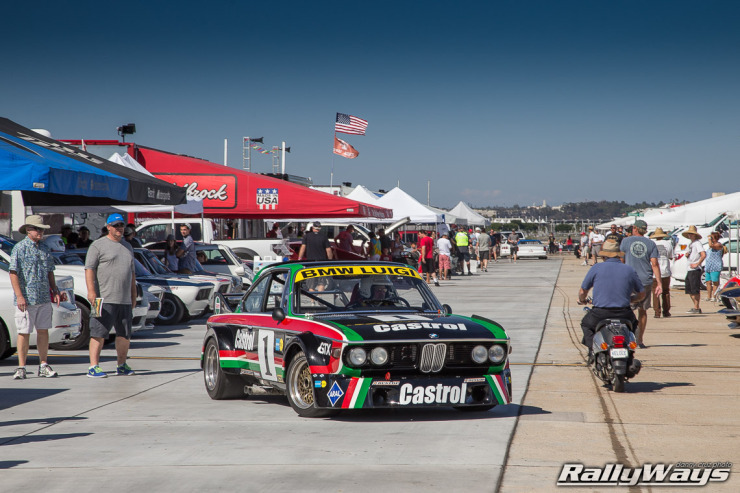 Club Corral is a key ingredient in making Coronado Speed Festival what it is. It helps bring local car enthusiasts together to make them feel part of Speed Fest rather than just attendees. 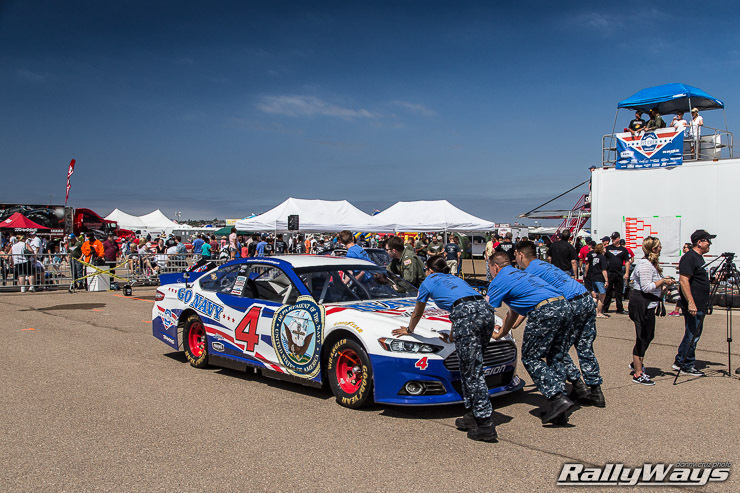 For many car enthusiasts, any opportunity to bring out their show cars is an opportunity worth taking. This also helps increase attendance. You can walk the paddocks and enjoy the rumbling of race cars as they go to and from the track. This beast is a 1976 BMW 3.0 CSL arriving after a Group 4 race. This car is owned by Steve Walker from Amity, Oregon. 3.0 CSL maybe, but it has a 3500cc engine. You wouldn’t want to spend the entire day in club corral though. There is so much more to do! Walking the vendor area is something you really want to do. Apart from the car demos by BMW and displays by Mini and Symbolic Motors, there were many other interesting booths. Food, t-shirts, hats, you name it. The Traxxas booth is quite interesting too. They have a mini track with inflatable barriers to test out their line of RC trucks – Yep, just like the ones in the Stadium Super Trucks Speed Energy challenge. Finally, the paddock area is probably the most interesting part of Speed Fest when not watching the actual racing at the track. There you can see all the race cars, up close and personal. Better yet, you can watch all the race teams and how they prep for each race. It’s also interesting to see what unfolds there after a race — whether the team won, or lost, the resulting reactions are very interesting. E.J. Viso after winning heat 1 of the Robby Gordon SPEED Energy Formula Off-Road Challenge presented by Traxxas. This is the Stadium Super Trucks event we linked to in the articles list near the beginning of this post. We’ll leave you at that for now. The important bit is that you follow each of the links in the list near the top of this article. There you can go and read all the stories that came out of Coronado Speed Festival 2014. Like we said earlier, there is just too much good stuff going on at Speed Fest to try and cram it all into one long article. Bite-sized chunks – That’s the key.